This page summarizes cases raised with Myanmar by the Special Rapporteur between May 1, 2011, (when the Special Rapporteur took up his functions) and February 28, 2017 (the date of the last public release of communications). Communications are released to the public once per year. This page also contains observations on these communications and on responses received from Myanmar. Summaries and communications are published only in the language of submission (in the case of Myanmar, English). Joint allegation letter, 23/02/2012. Case no. MMR 1/2012. State Reply: None to date. Alleged conviction of 32 lawyers in relation to the exercise of their rights to freedom of opinion, expression, peaceful assembly and association, as well as for providing legal representation and assistance, and their subsequent disbarment following proceedings in violation of fair trial safeguards. The Special Rapporteur regrets that the Government of Myanmar did not respond to his communication. He considers responses to his communications as an important part of the cooperation of Governments with his mandate, and urges the authorities to provide detailed answers to all the concerns raised in the communication. The Special Rapporteur further urges the authorities to ensure that no individual is criminalised for the exercise of his legitimate fundamental freedoms. He also urges the authorities to take all relevant measures to ensure that any individual and legal entity, including political parties, can peacefully exercise their rights of freedom of peaceful assembly and of association. He recommends the Government to put in place an enabling and safe environment allowing individuals to exercise their legitimate freedoms without undue hindrances. A thorough and independent investigation into any allegations of any alleged human rights violations, including acts of intimidations or harassments, committed against those exercising their rights to freedom of peaceful assembly and of association, should be conducted; those responsible should be held accountable; and victims should be provided with full redress. The Special Rapporteur refers again to Human Rights Council resolution 15/21, and in particular operative paragraph 1 that “[c]alls upon States to respect and fully protect the rights of all individuals to assemble peacefully and associate freely, including in the context of elections, and including persons espousing minority or dissenting views or beliefs, human rights defenders, trade unionists and others, including migrants, seeking to exercise or to promote these rights, and to take all necessary measures to ensure that any restrictions on the free exercise of the rights to freedom of peaceful assembly and of association are in accordance with their obligations under international human rights law”. The Special Rapporteur further regrets that the Government of Myanmar responded negatively to his request to undertake a country mission to the country due to the reported unavailability of the concerned authorities. He urges the authorities to reconsider his request. In this connection, OP6 of resolution 15/21 states that the “Human Rights Council… [c]alls upon States to cooperate fully with and assist the Special Rapporteur in the performance of his or her tasks, to provide all necessary information requested by him or her, … and to consider favourably his or her requests for visits”. Joint urgent appeal, 02/10/2012. Case no. MMR 6/2012. State Reply: None to date. Allegations of charges pressed against human rights activists who organized and participated in peaceful demonstrations on International Peace Day on 21 September 2012. Joint allegation letter, 22/10/2012. Case no. MMR 7/2012. State Reply: None to date. Alleged discriminatory restrictions and systematic violations of the right to freedom of religion or belief of Chin Christians in Myanmar. Joint urgent appeal, 30/11/2012. Case no. MMR 11/2012. State Reply: None to date. Allegations of arrest and detention of, and arrest warrants against, peaceful protestors, coupled with allegations of excessive use of force by security forces. Joint urgent appeal, 13/12/2012. Case no. MMR 12/2012. State Reply: None to date. Alleged re-arrest and detention of former prisoner of conscience. The Special Rapporteur regrets that the Government of Myanmar did not respond to any of his communications sent since the beginning of his tenure. He considers responses to his communications as an important part of the cooperation of Governments with his mandate, and urges the authorities to provide detailed answers to all the concerns raised in the communication. The Special Rapporteur further urges the authorities to ensure that no individual is criminalised for the exercise of his or her legitimate fundamental freedoms. He also urges the authorities to take all relevant measures to ensure that any individual and legal entity, including political parties, can peacefully exercise their rights of freedom of peaceful assembly and of association. He recommends that the Government put in place an enabling and safe environment allowing individuals to exercise their legitimate freedoms without undue hindrances. A thorough and independent investigation into any allegations of any human rights violations, including acts of intimidations or harassments, committed against those exercising their rights to freedom of peaceful assembly and of association, should be conducted; those responsible should be held accountable; and victims should be provided with full redress. The Special Rapporteur further regrets that the Government of Myanmar responded negatively to his request to undertake a country mission to the country due to the reported unavailability of the concerned authorities. He urges the authorities to reconsider his request carefully. In this connection, OP6 of resolution 15/21 states that the “Human Rights Council… [c]alls upon States to cooperate fully with and assist the Special Rapporteur in the performance of his or her tasks, to provide all necessary information requested by him or her, … and to consider favourably his or her requests for visits”. Joint allegation letter, 18/03/2013. Case no. MMR 1/2013. State reply: none to date. Allegations of restrictions on the right to freedom of peaceful assembly not in compliance with international norms and standards. Joint urgent appeal, 02/05/2013. Case no. MMR 6/2013. State reply: 01/07/2013. Alleged excessive use of force by riot police and military to remove farmers from land around Letpadaung copper mine in Sagaing Region, Myanmar, and reported charges and detention of persons involved in a protest at the site. Joint urgent appeal, 07/06/2013. Case no. MMR 8/2013. State reply: 26/07/2013. Alleged arbitrary detention and arrests, ill-treatment in detention and violation of due process rights of seven Rohingyas, including one minor, in Rakhine State. Joint allegation letter, 11/06/2013. Case no. MMR 9/2013. State reply: 22/07/2013. Alleged excessive use of force by law enforcement officials against a group of Rohingyas engaged in a peaceful protest, which included the fatal shooting of three Rohingya women. Joint urgent appeal, 20/06/2013. Case no. MMR 10/2013. State replies: 16/08/2013, 05/10/2013. Allegations of continuous targeting of human rights activists, including peaceful demonstrators, defending and promoting economic and social rights in Myanmar. Joint urgent appeal, 16/07/2013. Case no. MMR 11/2013. State reply: 15/08/2013. Alleged arbitrary arrest and detention of human rights defender in Myanmar for a 2011 poster campaign calling for the release of political prisoners. Joint urgent appeal, 24/07/2013. Case no. MMR 13/2013. State reply: 30/08/2013. Alleged arbitrary detention of Rohingya Muslim community leader and human rights defender in relation to a population verification exercise in Rakhine State, Myanmar. Joint urgent appeal, 03/10/2013. Case no. MMR 14/2013. State reply: 26/12/2013. Allegations of continuous targeting of peaceful demonstrators and human rights defenders opposing a mining project. Joint urgent appeal, 27/11/2013. Case no. MMR 16/2013. State reply: none to date. Allegation of physical attacks against human rights defender in Myanmar, and violation of his rights to freedom of opinion and expression, freedom of peaceful assembly and of association and freedom of religion or belief. The Special Rapporteur thanks the Government of Myanmar for its replies to most of communications. He considers responses to his communications as an important part of the cooperation of Governments with his mandate, and urges the authorities to provide as soon as possible detailed responses to all the concerns raised in the communications of 18 March 2013 and 27 November 2013 due to the serious nature of the allegations received. The Special Rapporteur stresses his recommendations made to States to: “[t]ake positive measures, including affirmative action measures, to ensure that all individuals belonging to groups most at risk [such as women and non-citizens] have the ability to exercise effectively their rights, including to freedom of peaceful assembly and of association” (A/HRC/26/29, para. 73(c)); and “[e]nsure that no individual belonging to a group most at risk is criminalised for exercising his/her rights to freedom of peaceful assembly and of association, nor is subject to threats or use of violence, harassment, persecution, intimidation or reprisals” (A/HRC/26/29, para. 74). The Special Rapporteur remains seriously preoccupied about the continuous targeting of peaceful demonstrators and human rights defenders opposing the Letpadaung Copper Mine project for years. The Special Rapporteur recommends that the Government put in place an enabling and safe environment that is conducive to the free expression of civil society allowing individuals to exercise their legitimate right to freedom of peaceful assembly and of association without undue hindrances. In this regard, he urges the authorities to bring the legal framework governing the exercise of the rights to freedom of peaceful assembly and of association in conformity with international human rights norms and standards (see notably A/HRC/20/27). The Special Rapporteur refers to Human Rights Council resolution 24/5, and in particular operative paragraph 1 that “[r]eminds States of their obligation to respect and fully protect the rights of all individuals to assemble peacefully and associate freely, online as well as offline, including in the context of elections, and including persons espousing minority or dissenting views or beliefs, human rights defenders, trade unionists and others, including migrants, seeking to exercise or to promote these rights, and to take all necessary measures to ensure that any restrictions on the free exercise of the rights to freedom of peaceful assembly and of association are in accordance with their obligations under international human rights law”. The Special Rapporteur reminds the Government of Myanmar of his country visit requests sent in September 2011 and October 2013, to which a response is yet to be received. In this connection, OP6 of resolution 15/21 states that the “Human Rights Council… [c]alls upon States to cooperate fully with and assist the Special Rapporteur in the performance of his or her tasks… and to consider favourably his or her requests for visits”. Joint urgent appeal, 12/08/2014. Case no: MMR 5/2014. State reply: 27/10/2014. Alleged reprisals, in the form of arbitrary arrest, against a human rights defender for cooperating with the United Nations, its mechanisms and representatives in the field of human rights. Joint allegation letter, 11/04/2014. Case no: MMR 2/2014. State reply: 25/07/2014. Alleged undue restrictions of the right to freedom of association as contained in the last version of the draft Law relating to Registration of Organizations. Joint urgent appeal, 17/03/2014. Case no: MMR 1/2014. State reply: 17/07/2014. Alleged arbitrary arrest and detention of a human rights defender. The Special Rapporteur expresses his thanks to the Government of Myanmar for its responses, including two replies aimed at clarifying the facts of the cases. In relation to the Government’s reply from 25 July 2014, which requested that the joint allegation letter of 4 November 2014 (MMR 2/2014) on draft legislation not be included in the communication report, he would like to highlight the preventive functions of mandate holders. The Special Rapporteur notes that in his capacity as a Human Rights Council mandated expert, he may reflect and comment on legislation and other national developments with the aim of preventing possible human rights violations. He is of the view that these actions can help promote a constructive dialogue with the Government and other stakeholders, and in turn cooperation for the promotion and protection of human rights. The Special Rapporteur is greatly concerned about allegations of an act of reprisal, in the form of arrest and detention of Mr. Sein Than. These acts occurred while Mr. Than was reportedly heading to the United Nations office in Myanmar to deliver information intended for the Special Rapporteur on the Situation of Human Rights in Myanmar, whom he met with earlier in July 2014 (MMR 5/2014). He duly takes note of the Government’s response, however, regrets that no comments were made in relation to the measures that Myanmar is taking to guarantee the exercise of the rights to peaceful assembly and association in the county as well as ensure that human defenders can interact with the United Nations and his mechanism without fear of harassment. The Special Rapporteur thanks the Government of Myanmar for clarifying the details of Mr. Sein Than’s arrest in relation to the provisions of its law governing peaceful assemblies (the Law on the Right to Peaceful Assembly and Peaceful Procession) (MMR 5/2014). However, he recalls his concerns that that law contains provisions, including relating to the regime of authorization and on the conduct of protests, which unduly restricts the right to peaceful assembly. He restates the decisive role played by assemblies and the importance of enjoyment of the right to peaceful assembly to build peaceful and democratic societies. To this end, he urges the authorities of Myanmar to respect, protect and fulfill the rights to peaceful assembly and association. The Special Rapporteur reiterates his concerns about the draft Law relating to the Registration of Organizations (MMR 2/2014). These concerns include, the restrictive definitions, the registration process of associations and the area in which they may geographically operate, and the prior authorization process to establish an association. He encourages a broader definitions of ‘associations’ in line with international standards to include any groups of individuals or any legal entities brought together to collectively express, promote, pursue and defend common interests” (as per A/59/401, paragraph 46). The Special Rapporteur echoes his earlier concerns regarding the right to appeal in the draft, which would be done by the same registration committee, and the denial of unregistered associations from undertaking fundraising activities. He notes that the right to freedom of association also protects association that are not formally registered as stated in the thematic report of 2012 (A/HRC/20/27). The Special Rapporteur recalls the insight of Human Rights Council resolution 24/5, and in particular operative paragraph 2, and reminds the Government of Myanmar of its obligations to respect and fully protect the rights of all individuals to associate freely and to take all necessary measures to ensure that any restrictions on the free exercise of the rights to freedom of association is in accordance with its obligations according to international human rights law. Regarding the information received that points to an increasingly restrictive environment for the exercise of these rights, particularly for human rights defenders working in contexts of natural resource exploitation, the Special Rapporteur reminds that a positive environment that allows and promotes the rights of all people to freely associate and assemble is essential in the context of exploitation of natural resources to ensure a fair, transparent and accountable process that benefits all the parties involved (A/HRC/29/25). In this regard, he remains seriously concerned about allegations of arrest and charges against, Mr. Thaw Zin in relation to several demonstrations he organized in 2013 against the Letpadaung copper mine (MMR 1/2014). The Special Rapporteur expresses concern that the arrest and detention of Mr. Zin may be linked to the exercise of his rights to freedom of association, peaceful assembly and opinion and expression. He recalls that Mr. Zin was previously arrested and detained under Article 18 of the Peaceful Assembly and Peaceful Procession Law but was released by way of a presidential amnesty granted on 31 December 2013. He notes the reply of the Government and he articulates that there should be a presumption in favour of holding peaceful assemblies and associating freely. The Special Rapporteur also believes that the exercise of fundamental freedoms should not be subject to previous authorization by the authorities, but at the most to a prior notification procedure. The rationale behind a prior notification process is to allow State authorities to facilitate the exercise of the right to freedom of peaceful assembly and to take measures to protect public safety and order and the rights and freedoms of others. Rights to freedom of peaceful assembly and of association for groups most at risk. With regard to the deterioration of the human rights situation in the Rakhine State and further discrimination and persecution against the Rohingya community (PR 07/04/2014), the Special Rapporteur endorses the concerns of the Special Rapporteur on the situation in Myanmar. He further invites the Government of Myanmar to refer to international legal instruments and principles which state concrete measures that States should adopt to achieve non-discrimination and equality. The worries expressed in the press release should be taken together with the views expressed in his report on the threats to the rights to freedom of peaceful assembly and of association for groups most at risk. The Special Rapporteur observed that, often by design, citizenship and residency status frequently affect assembly rights ((A/HRC/26/29). He recalls the concerns expressed in his report that article 354 of the Constitution of Myanmar grants the right of assembly uniquely to citizens (thus denying the right to non- citizens). The Special Rapporteur finds no basis in international law for depriving non-citizens of their assembly rights and notes that those rights of significant importance for non-citizens and migrants, who may not be privy to other mechanisms with which to advance their political, social and economic interests. He expresses concern once more that the assemblies of certain groups, like the Rohingya, have been selectively targeted. The special Rapporteur urges the Government to be bold in addressing the human rights challenges that exist, in accordance with international law. The Special Rapporteur reminds the Government of Myanmar of his willingness to undertake a country visit in the framework of his mandate, last indicated by letter on 30 October 2013. He notes the response of the Government, on 3 December noting such a mission was not possible at the time. In this connection, he would be grateful for the continuing cooperation of the Government with his mandate and he looks forward receiving a positive reply to his request in 2015. Joint urgent appeal, 06/03/2015. Case no. MMR 2/2015. State reply: 15/05/2015. Alleged peaceful assembly of more than 300 security personnel near Aung Myay Bateman monastery, near to Letpadan in northern Yangon Region on 3 March 2015 in response to approximately 150 students peacefully protesting for amendments to the National Education law. Joint urgent appeal, 07/04/2015. Case no. MMR 3/2015. State reply: None. Alleged arbitrary detention of peaceful protestors against electricity hikes as well as alleged bystanders. Joint urgent appeal, 10/04/2015. Case no. MMR 4/2015. State reply: 31/07/2015. Alleged arbitrary arrest and detention of individuals in relation to peaceful protests. Joint urgent appeal, 03/08/2015. Case no. MMR 8/2015. State reply: 14/11/2015. Alleged arbitrary detention of an activist for interfaith peaceful coexistence. Joint urgent appeal, 05/11/2015. Case no. MMR 11/2015. State reply: 11/01/2016. 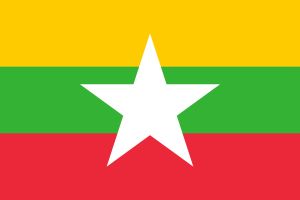 Allegations on multiple restrictions affecting the enjoyment of the right to freedom of opinion and expression in advance of the parliamentary election in Myanmar on 8 November. The Special Rapporteur thanks the Government of Myanmar for its response to four of his communications out of five sent during the reporting period. He regrets that he has not yet received a response to his fifth communication. The Special Rapporteur acknowledges that all the communications sent during the reporting period concerned the previous State administration. He warmly welcomes the waves of release of political prisoners, including the students who were peacefully protesting for amendments to the National Education law. The Special Rapporteur notes the many human rights challenges that need to be addressed in a meaningful manner, as identified by the Special Rapporteur on the situation of human rights in Myanmar (A/HRC/31/71). In this regard, he is encouraged by current efforts towards legislative reform, notably of the Law on the Right to Peaceful Assembly and Peaceful Procession. He calls on the authorities to ensure that the revised legislation fully complies with international human rights norms and standards. In this regard, he stands ready to provide technical assistance as deemed necessary. The Special Rapporteur remains seriously concerned about, inter alia, the human rights situation in Rakhine State, and the discrimination and persecution suffered by the Rohingya community. He calls on the new Government to bring positive tangible change in this regard. The Special Rapporteur reminds the Government of his pending requests to visit Myanmar, last indicated by letter on 30 October 2013. He trusts that such a visit would allow him to examine first-hand issues related to his mandate, identify good practices and formulate pertinent recommendations to relevant stakeholders. He reiterates that Human Rights Council resolution 15/21, which established his mandate, and 24/5, which renewed it for an additional period of three years, both call upon States to consider his requests for visits favourably. Joint allegation letter, 16/12/2016. Case no. MMR 5/2016. State reply: 11/04/2017. Allegation concerning curfew orders issued since 2012, instructions against teaching Arabic and planned demolition of structures including residence, business and educational facilities. The Special Rapporteur thanks the Government of Myanmar for its response to his communication sent during the reporting period. The Special Rapporteur notes the many human rights challenges that remain to be addressed in a meaningful manner, as identified by the Special Rapporteur on the situation of human rights in Myanmar (A/HRC/31/71). In this regard, he calls on the authorities to ensure that the Law on the Right to Peaceful Assembly and Peaceful Procession is applied and interpreted in a manner that fully complies with international human rights norms and standards. In this regard, he stands ready to provide technical assistance as deemed necessary. In this regard, the Special Rapporteur welcomes the easing of curfew restrictions in Maungtaw, Rakhine State, but remains concerned that the restriction on the gathering of five or more people in public spaces may amount to an arbitrary and discriminatory restriction on the right to freedom of peaceful assembly. The Special Rapporteur remains seriously concerned about the human rights situation in Rakhine State, and the discrimination and persecution suffered by the Rohingya community. He renews his call to the Government to bring positive tangible change in this regard.